All SRBCC programs receive partial funding from CityArts Grants from the City of Chicago’s Department of Cultural Affairs & Special Events, The Illinois Arts Council, Driehaus – MacArthur Funds for Arts and Culture, Gaylord & Dorothy Donnelley Foundation, and Field Foundation of Illinois. SRBCC offers a yearly artistic series that celebrates Puerto Rican arts and culture and promotes collaborations between Chicago-based artists and artists coming from Puerto Rico. After years of naming the monthly celebration after classic Puerto Rican songs (Las Caras Lindas 2017, and Borinken Me Llama 2018), SRBCC’s 2019 series is inspired by the 1950’s classic by Tito Henríquez “Bello Amanecer” (Beautiful Sunrise). 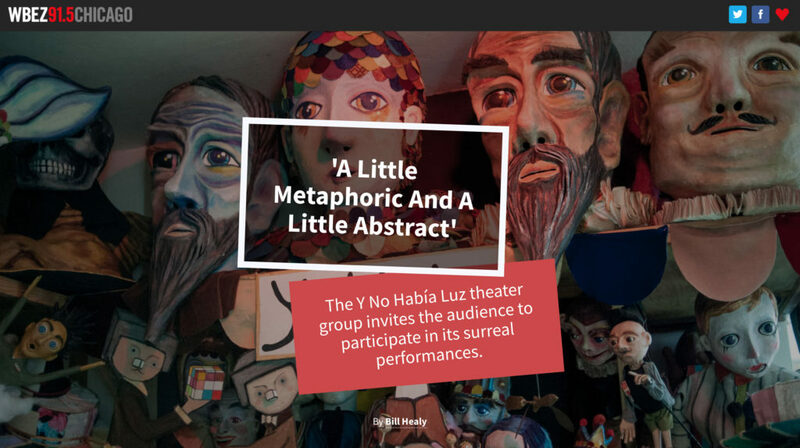 While “Borinken Me Llama 2018” (Puerto Rico is Calling 2018) focused on the emergency and humanitarian crisis immediately after hurricane María, “Bello Amenecer” will address the challenges faced by Puerto Rican artists with an eye on emergent projects and the new wave of creative minds that have decided to stay, reconstruct, reinvent, and redefine the future of arts on the island. 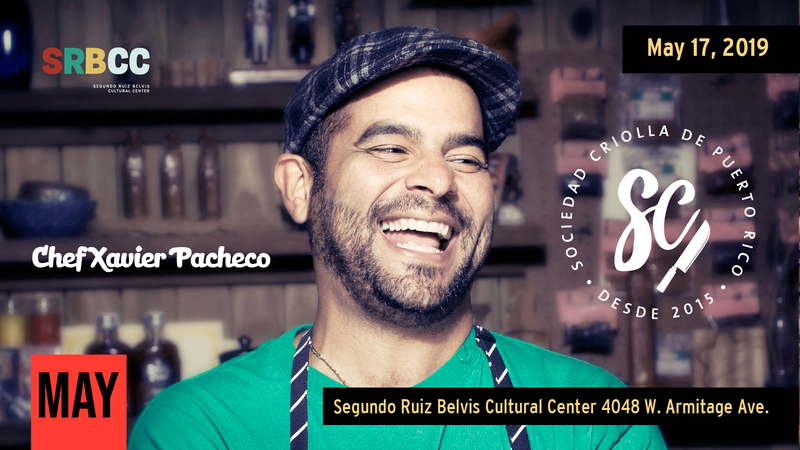 As part of his first public appearance in Chicago, Chef Xavier Pacheco (Anthony Burdain’s Parts Unknown, La Jaquita Baya, Lote 23, Sociedad Criolla) comes to Chicago for a series of events highlighting the culinary industry in Puerto Rico, including this community conversation about the current status of the Farm to Table movement on the island. As an important voice in the wave of local cuisine, Xavier Pacheco will address the empowerment of independent farmers through collaborations with local Chefs after Hurricane María. Featuring special guest Xavier Pacheco and some of Puerto Rico’s top chefs. Gourmet Puerto Rico is Chicago’s finest Puerto Rican Gastronomy event and fundraiser benefiting Segundo Ruiz Belvis Cultural Center and Día de la Mujer Latina. Gourmet Puerto Rico will feature 5 food stations and celebrate Puerto Rico’s leading Chefs, global cuisine, culture, music, tourisim and much more. 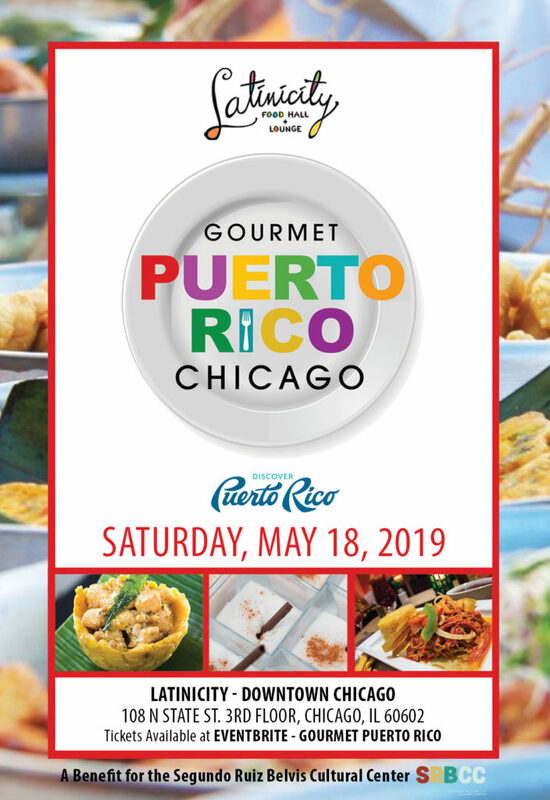 Hosted by WGN’s Ana María Belaval, Gourmet Puerto Rico will propel all aspects of Puerto Rican cuisine and cocktails. Ticket includes Chef-crafted food tastings, 2 cocktails and entertainment. Read the interactive story by WBEZ’s Bill Healy here. Hear SRBCC’s Executive Director Omar Torres-Kortright’s interview with Worldview’s Jerome McDonnell from WBEZ here. Our funders include The Driehaus Foundation, The Chicago Community Trust, MacArthur Foundation, and The Field Foundation of Illinois. All programs are supported in part by the Chicago Department of Cultural Affairs and Special Events’s City Arts Grant and receive operational support from the Illinois Arts Council.